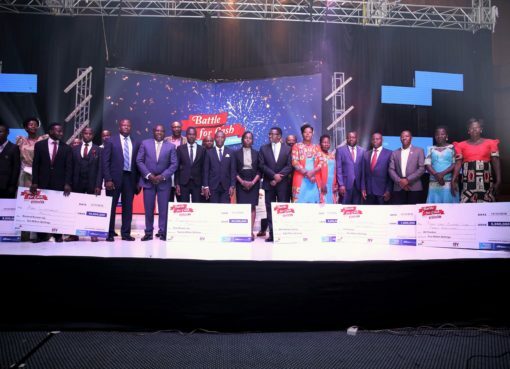 On Thursday 28th February, DFCU Bank announced a contribution of UGX 15,000,000 as one of the sponsors of the upcoming Transformational Leadership Forum and the Kirk Wallum Jazz concert slated for 7th March 2019. The contribution is towards fundraising efforts for the Rotary Blood Bank at Mengo Hospital which was constructed by Rotary and its partners. 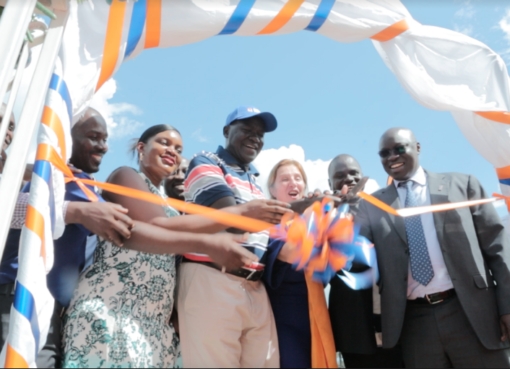 The announcement was made from Dfcu Bank’s head office in Kampala where the Bank’s Chief Executive Officer, Mathias Katamba, handed over a cheque to Dr. Emmanuel Katongole, Chairperson Rotary Blood Bank Program. The initiative intends to raise $500,000 in order to equip Mengo Hospital with a fully-fledged Blood Bank which can test, process and pack safe blood before being distributed to other health centres. “Our support towards this cause is directly in line with our brand promise of Making More Possible for the diverse communities in which we operate. People are at the heart of our Corporate Social Investment (CSI) agenda and the need for accessible safe blood is universal, so we are more than glad to make our contribution to this cause. We will be unveiling more community investment initiatives this year as dfcu celebrates 55 years of existence,” Katamba added. “We are happy to have dfcu partner with us on a cause that will enable the Rotary Club make a significant contribution in meeting the annual deficit of 100,000 units of blood. Our target for this year is to equip the Mengo blood bank so that-it is a fully fledged facility which can test, process and pack safe blood. The contribution from dfcu towards our fundraising efforts is commendable,” said Emanuel Katongole. 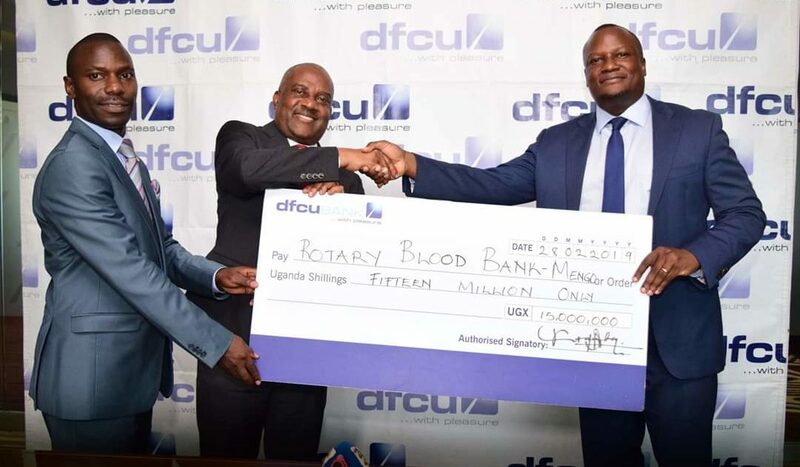 Dfcu Bank has a history with Rotary and has been a part of several fundraising initiatives including the Rotary Hospital in Mukono where it made a contribution of UGX 150m towards its construction.